Born in Worcester Master Dave Taylor began training in 1979 age 13 at a local amateur boxing club after bullies had targeted him, not enthralled by this sport it quickly led onto the discovery of Wing Chun Kung Fu. This martial art instantly captivated his body and mind enabling him to build his confidence and face his fears. By his mid 20’s Master Taylor had achieved his Black Sash and transformed from student to teacher opening his own Kung Fu Club in Worcester. Clubs in Birmingham, Cheltenham and Milton Keynes soon followed, allowing Dave to teach and pass on to his students his knowledge of martial arts and conflict management. During the 1990’s Dave also worked as a chauffeur and personal bodyguard to a number of high profile people including members of the Royal Family. He used this time whilst travelling to train and gather knowledge from some of the best Kung Fu Masters in the UK. In 1999 Dave was introduced to Grandmaster Lei Yi Xiao, a Shaolin Monk who during a period of 5 years behind closed doors taught him some of the toughest lessons of his life. He was given the rare opportunity to study Chen Jin Iron Shirt and Golden Bell Chi Kung. In 2001 he made the brave decision to give up his career in driving and security to become a full time instructor, creating and establishing the current Wing Chun Dynamics syllabus. In 2005 he was approached to open an exclusive club at Birmingham mailbox, offering one on one motivational teachings and group sessions on conflict management, something that no other instructor has been requested to do. Dave has utilised his skills and knowledge in security and body guarding to oversee some of the country’s top events and concerts. He has been head of many response teams and continues to be a security consultant within this sector, offering advice and training to door supervisors and close protection officers. To reach the corporate world of conflict management, Dave was approached to become Principal of The Department of Personal Development within The Institute Of Workplace Development, IoWD, a company that offers various skills related to confidence, focus and personal progression. It didn’t take long for him to gain the recognition of one of the world’s leading experts in conflict management within the realms of personal safety. 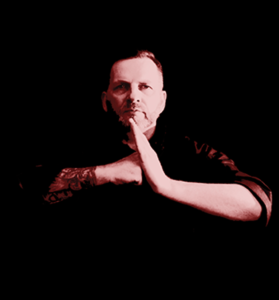 In 2015 Dave became co-founder of Masters Black, a unique and exclusive service combining the skills of two Kung Fu masters with over 60 years of experience in Kung Fu psychology and Chi Kung energy training. Dave continues to draw up on his knowledge and expertise teaching many people who seek his time; including Hollywood stars and successful men and women nationally and internationally. He is recognised around the world for his one-to-one motivational teachings that empower his clients’ personal and professional development. His skills and knowledge have also been used in schools and workplaces to promote the understanding of bullying, prevent stress and to encourage confidence and mindfulness. When not teaching Kung Fu Dave enjoys playing table tennis – a passion shared by one of his corporate clients. His other passion is British history and its buildings, especially his beloved Worcester Cathedral.